I was contacted to make these this past weekend, and was excited to make them because I knew any little girl would love them. Then I was told that they were for my customer’s mother-in-law! How awesome is that? Apparently she is a huge fan. 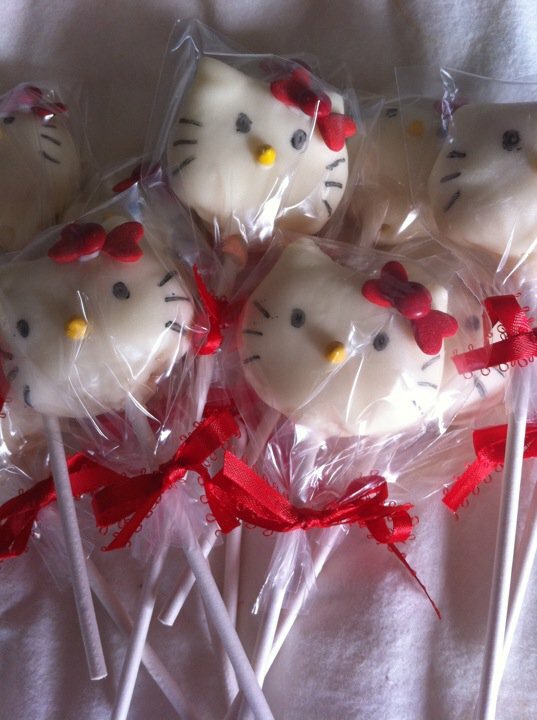 Ah, the first cake pops. 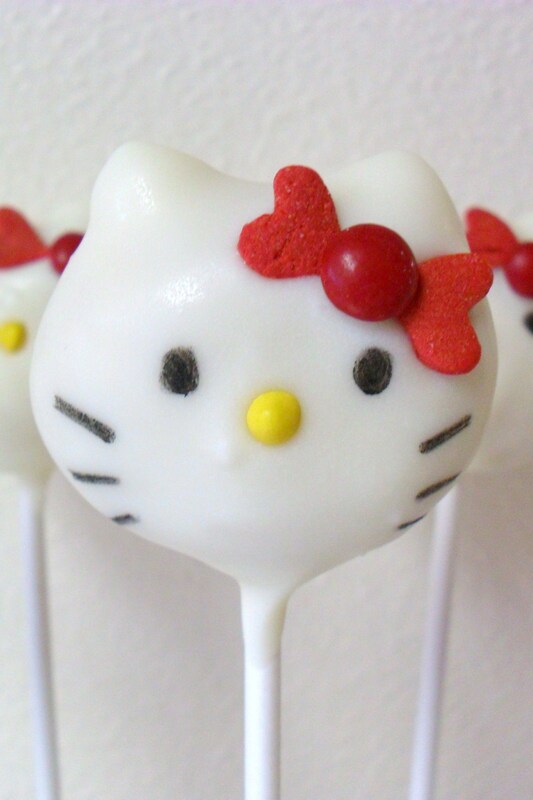 Actually, these weren’t the first cake pops I made. Those were some bunnies for Easter that while cute at the time, weren’t the best. 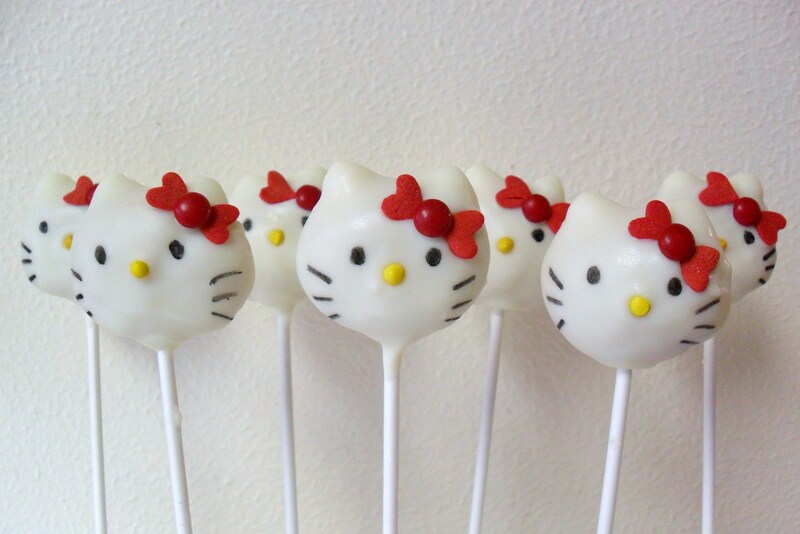 I didn’t know anything about cake pops then, so they looked kinda sloppy and messy and just bleh. But you live and you learn right? Back to Hello Kitty. I am a huge fan of Bakerella, who probably got this whole cake pop trend on the map. 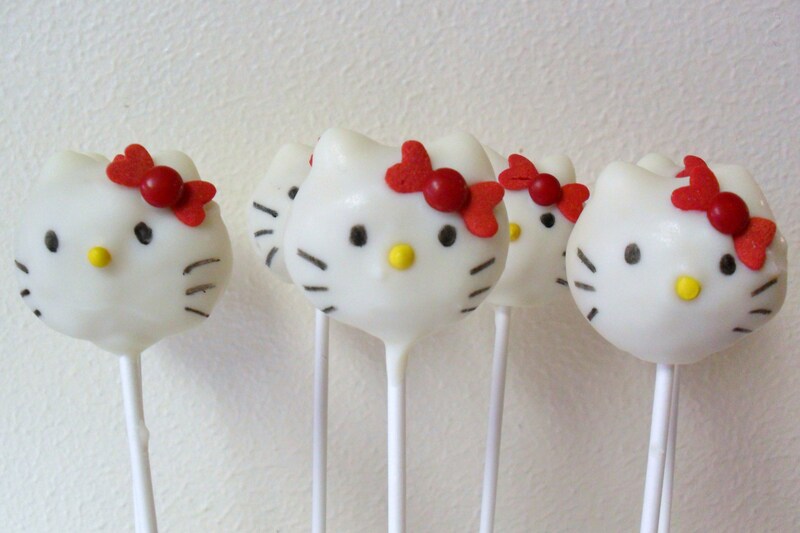 I follow her blog religiously, and saw the Hello Kitty pops on her site. It just so happened that the little girl I nanny was having a Hello Kitty birthday party, so I decided to give them a shot. How cute are these? Any little girl would love them!